Ready for Part 2 of building your Hawaii real estate buyers list? Ok, so if you read the last post, you know that it’s important as a Hawaii real estate investor to build your real estate buyers list. Makes sense, right? If you’re planning to sell the properties, you want to have buyers lined up ready to go instead of worrying how long your house is going to sit on the Hawaii MLS (multiple listings service). 1. Owner/Occupier — These are the people that obviously are going to buy your property as their Hawaii home. Because they are likely more concerned about having a nice home than near-term profit, they will generally pay the most for the properties that you sell. 2. Landlords / Cash Flow Investors — The Hawaii landlord or passive income investor is naturally looking for a profit. However, this profit is envisioned to be realized over a long timeframe. They are more concerned about the potential for cash flow over time and less about upfront equity. Therefore, they will likely settle for less than a homeowner but may not seek the deep discounts that a rehabber will seek. 3. Rehab Investors — The last type of Hawaii real estate buyer is the rehab investor. This person is looking for enough upfront equity to rehab the property and flip it on the open market or to their own list of buyers. Remember, they are looking for a nice profit even after paying your wholesaling price, so you better come with well-discounted properties. Naturally, this buyer will pay the lowest of the three buyer types since upfront equity is the key factor. This becomes very important because the type of buyer you attract or build a relationship with is directly tied to your exit strategy. Are you looking to wholesale for quick profits? If so, then having Hawaii cash buyer investors who can close quickly may be your best type of buyer, even if they pay the least amount for your deals. If you’re a rehabber instead, then you may want to concentrate more on seeking landlord investors or owner/occupiers who will pay you more, justifying your rehab cost. Know what kind of investor you are first so you focus on the right type of buyer for your Hawaii buyer list and overall investment business. So now that we have that out of the way, what are the best tips of actually building the buyers list? 1. Google/Craigslist/Facebook. It’s almost cliche today to direct someone to Google to find something, but there’s no getting around the fact that just about everyone worth doing business with today is online. Search Google, Craigslist and Facebook for “I/We Buy Houses” in your area. These are investors actively looking to buy more property and will generally pay you fair compensation as long as you’re presenting an investor-friendly real estate deal. 2. 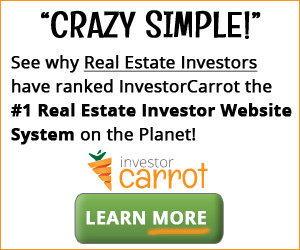 Visit Your Local Real Estate Investor Groups. Every city has a few different local REAs (real estate association). Go and network. See who’s buying and who’s selling. Find out who the big players are. See who’s actually taking action and who’s just kicking the tires. Get business cards and call them the next day. 3. Advertise. Post ads yourself on Craigslist asking for people who want to be on your buyers list for early notification of the deals you find. You can also set up a Squeeze/Lead Capture Page to bring in traffic and leads to a back-end database. You can order lead capture templates for a low price per month from a company like Aweber or choose a more robust lead management software package. Additionally, you can post a small ad in the local newspaper, print or online, titled “Fixer Uppers” or “Handyman’s Special”. 4. Network. In addition to the REAs, so much of business is about networking. In this case, you probably already know people who buy investment property and rent it out to others. All you want to do is ask them if they’re looking to add to their portfolio of Hawaii real estate property. If so, you can put them on your list. If they’re not, then they can likely refer you to others. Show your Ewa condo deal to landlords? Yes. To your Kailua rehab investor? Nope. 1. Phone number and email address. If you have everyone’s email address, then you can blast out your deals to everyone on your buyers list at once. It also becomes an efficient way to stay in touch with everyone, even if you don’t have deals to sell. Let them know you’re still out there hunting down deals for them. 2. Areas they are interested in. Not everyone is looking to buy another Waikiki condo. Likewise, some people will not buy on the North Shore because of the smaller buyers pool between Haleiwa and Kaneohe. Don’t waste time talking to someone only interested in Honolulu condos about your great Ewa Beach fixer-upper. 3. Price range. It doesn’t do much good to find a great deal on a million-dollar house in Kahala or Hawaii Kai if your buyers don’t quite have that amount of money at their disposal. At the same time, some people may have those funds but instead prefer the deal structure of a Waikiki condo and will buy 10 of those before the year is out. 4. Exit strategy. Find out what their business model is. Will they rehab or do they want all the repairs done before closing? If you know they want to buy Hawaii property for cash flow, then you better analyze local rents so you can relay that information to them to help seal your deal. Contact a nearby property manager or realtor if you can’t find this information on your own. I think that’s enough to get going. Remember, persistence is key. Every market is different. What works in Hawaii may not work in some mainland markets, but the general ideas are the same. If you have more tips, share them in the comments section below!